Native and Non-Native species exist. 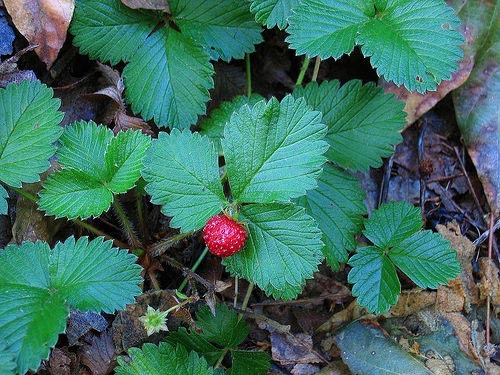 Native species have small berries, or no berries at all. Nutritional information: Strawberries are an excellent source of vitamins C and K, dietary fiber, and flavonoids. They are also a very good source of manganese, pantothenic acid, vitamin B1, and iodine. They are also a good source of folic acid, biotin, and vitamin B6 (Murray 314).